The Lalala Festival, Indonesia’s first international forest music festival in, ended with a blast on Saturday night in Cikole Lembang, Bandung. Despite all the mud and the chilly air, located in the middle of a pine forest, the audience was entertained by local and international performances, such as Teza Sumendra, Payung Teduh, Maliq & d’essentials, Float, MYMP, Jasmine Thompson, Kodaline and many more. 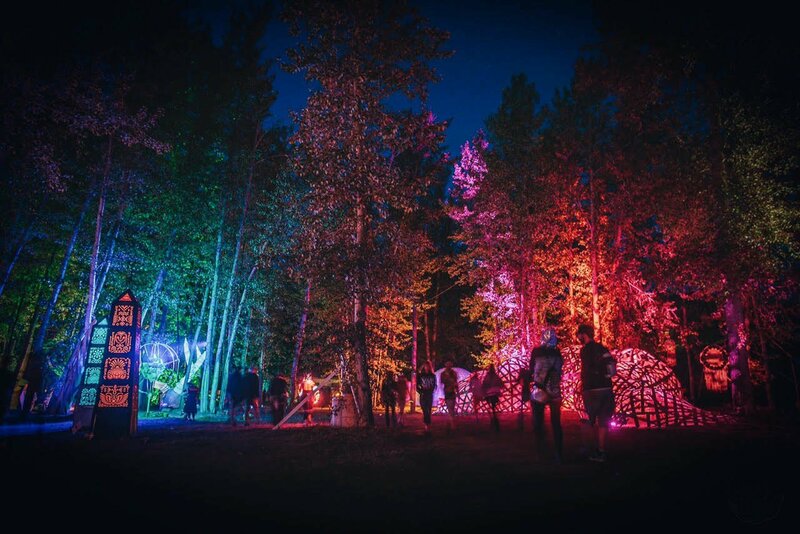 The venue of the Lalala Festival, which had three separate music stages in three different areas, was beautifully decorated with colorful lighting hanging from several pine trees, as well as from each stage. The venue was also decorated with some lamps that were held up by the trees and a bonfire for us to have quality time while listening to and enjoying the music. Even though it was raining at the beginning, the sacredness of Mother Nature didn’t fail to amaze; especially when the music started combining with the colorful lighting on the pine trees. On top of that, the festival also became an event for hipster youths to dress up in boho-chic fashion in which almost all the girls wore solid-patterned dresses or kimono outer, bohemian skirts, scarfs and flower crowns. Moreover, some of them applied golden or silver tattoos and beautiful face paintings to match their boho and hippie styles. The music performances were organized in a parallel way, in which there were three different performances going on simultaneously on each of the three stages: the Lalala stage, the Future stage and the Nature stage. From all the performances, I only watched Teza Sumendra, Payung Teduh, Jasmine Thompson, Reality Club, Mustache & Beard, Maliq & d’essentials, Bag Raiders, and of course, Kodaline. Even though all the performers were beyond awesome on stage, I felt Kodaline, Maliq & d’essentials and Payung Teduh were the best performers of the night. Payung Teduh, an Indonesian jazz-folk band from Indonesia, completely made the audiences sing along with their songs, such as "Untuk Wanita Yang sedang di Pelukan" (For the Woman in My Embrace) and "Resah" (Restless), their music was perfectly matched with those pine trees and the cold-foggy air that night. Maliq & d’essentials didn’t fail to bring a joyful hype with legendary performances of "Pilihanku (My Choice) and "Untitled". To be honest, I think Maliq & d’essentials were the ones who brought back the excitement and the positive vibes to all of us, as most of the audience had become tired of dealing with all the mud and tardiness of the performers. The most outstanding performance came from Kodaline, an indie rock band from Ireland. They made us sing along with their songs, such as "High Hopes", "Honest", "Love Like This" and "Love Will Set You Free". On top of that, Steve Gariggan the vocalist made a simple but enchanting guitar solo of "The One", accompanied by thousands of makeshift flashlights from the audiences’ phones. They also sang a cover of "Raging" from Kygo with their own indie-rock style, followed by their last and climatic performance of their greatest hit "All I Want". Kodaline’s outstanding performance made the forest festival feel more sacred and worthwhile to attend. Even though there were some factors that made the forest festival a little bit lame—such as the performers not sticking to schedule, the muddy terrain, and the obscure food and beverage tent locations—I think the Lalala Festival at least was a breakthrough and shared creative ideas toward a new concept of music festivals in Indonesia. They made us realize that nature can actually be combined with the arts and culture and that humans are supposed to live side by side with nature. I do believe that a forest festival, or other events that include nature as part of its concept, can provide the youths, as the next generation, insight into conserving nature instead of being an ignorant generation whom only are aware of notifications on their social media accounts.